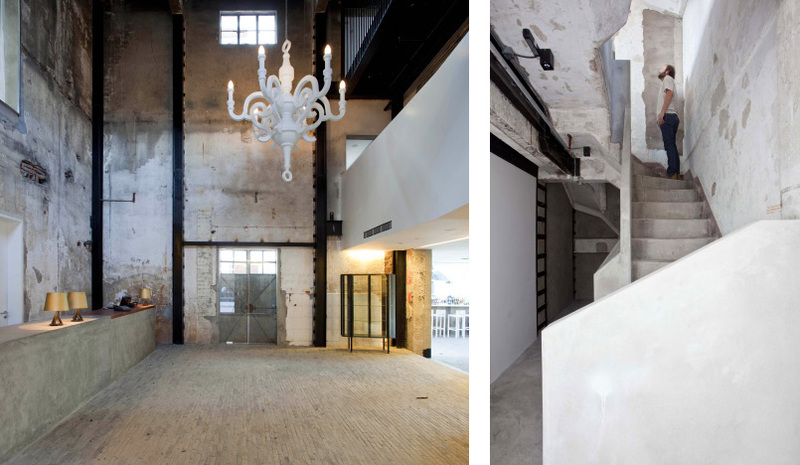 Proving once again that Shanghai has a better idea of heritage preservation than Hong Kong, The Waterhouse is another boutique design-led commercial restoration project that has rocked the economic powerhouse in the mainland. As the pride and joy of Shanghai, the Bund has always played an important role in the city, and held a special place in the heart’s of residents. Back in the day the riverside strip was home to trading firms and financial houses, and further along there were factories and working houses. Now, all those places have long-gone, and as gentrification sets in, many of the interesting Art Deco edifices are being done up and converted into unique commercial projects. The Waterhouse is precisely one of these and, as the most recent and possibly most attractive addition to the area, the boutique hotel is already turning heads. Designed within a restored 1930s Waterhouse, this boutique hotel project was destined to stand out from the start. Much of the original Art Deco appeal has been retained, and the internal and external spaces stylishly merge together with designer furnishings throughout. Looking onto the public areas of the hotel is a bit disorientating, but the guest rooms all have adjustable shutters faced with mirrors. There are 19 rooms in total, and these have each been designed differently, but collectively together all still ooze the same rustic designed chic. With designer furnishings clashing with rustic bare walls, dated fixtures and copious amounts of space, there is a distinct sense of minimalism – the kind commonly found on the pages of Wallpaper Magazine. The hotel was designed by the Shanghai-based Neri & Hu design firm, and they choose to keep many of the original fixtures, with bare walls cropping up alongside dated oxidized fixtures. The hotel is also home to one of the largest authentic collection of designer furniture in any hotel inChina, with the management and designers having thoughtfully selected works by leading designers and legends such as Arne Jacobsen, Finn Juhl, Hans Wegner, Antonio Citterio and more. Of course, a designer hotel would be nothing without some tempting dining options, and these come in the form of Table No. 1, The Roof and the Lounge, which together form quite the alliance. While the formal European restaurant Table No. 1 boasts a sleek and simplistic interior, with select glimpses into hotel rooms and onto the street; The Roof and the Lounge are more informal, with the Lounge coming complete with a fireplace and books, and the wooden-decked rooftop bar providing stunning views of the Huangpu River.